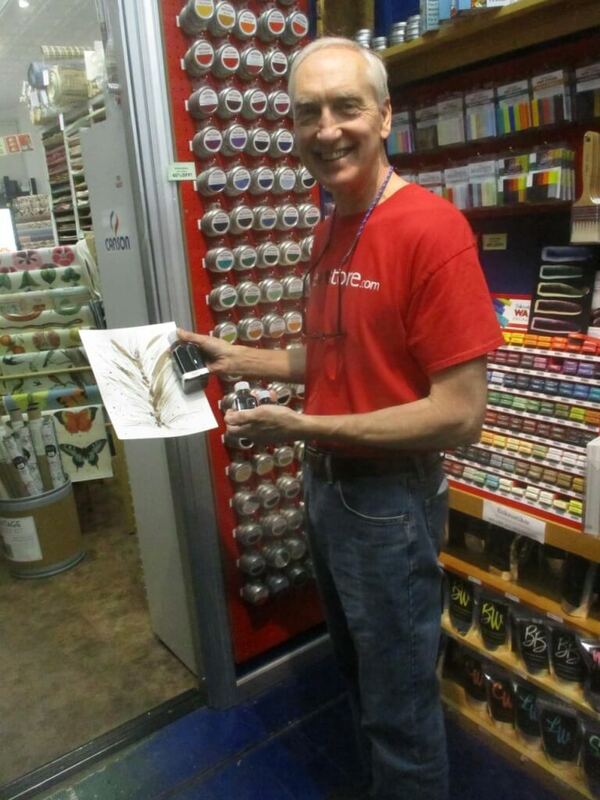 “Within seconds of meeting Mike Lesczinski, you’ll notice palpable, contagious passion for Rochester Art Supply, the company that he and his brother built, along with reverence for his customers, suppliers, and community. Showing off the stuffed-to-the gills art emporium, Mike embodies the kind of authentic contentedness that graduation speeches implore us to seek. 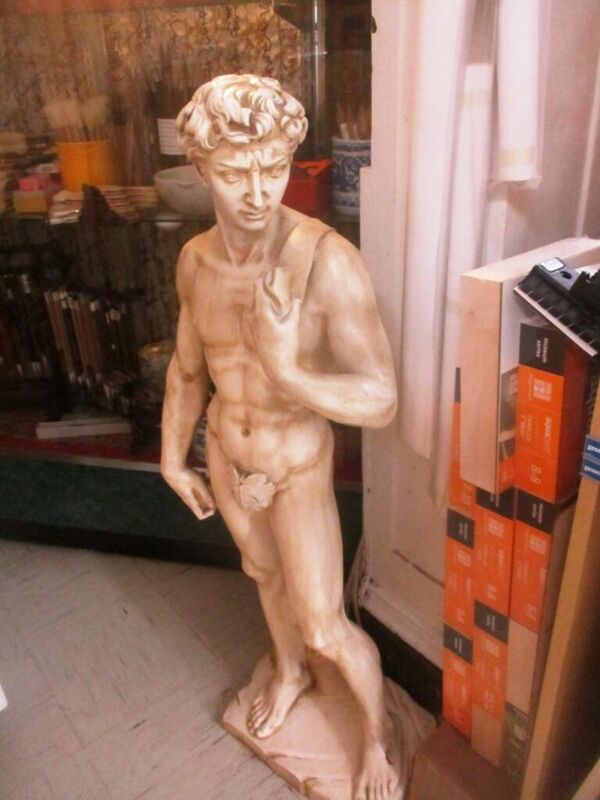 He makes you glad you’ve stopped in. If you weren’t looking, it’s easy to miss this Rochester institution, situated at the corner of W. Main and S. Washington Streets. Located just a skip across 490 from Corn Hill where many of the store’s loyal artisan customers and employees reside, Mike and his brother, John, bought the venerable store in 1977 from their Uncle. Following illness, he struggled mightily to keep the family business going. The boys had worked there summers, and company lore goes that in 1959 their father, a sign painter, started the store out of frustration of having to wait for screen supplies to show up. 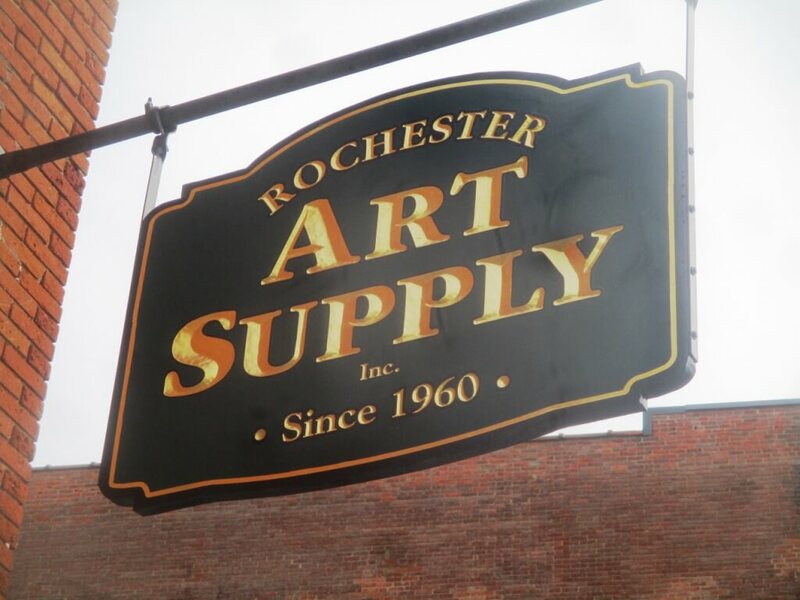 Today, Rochester Art Supply is a cornucopian feast for the imagination. Shelf after shelf, drawer after drawer, wall upon wall explodes with color and possibility. “We’ve got one of the finest selections of papers, and pastels in the country,” Mike explains proudly, showing off store wares in stacked drawers stuffed with enticing paint sticks resembling tasty candy samplers. 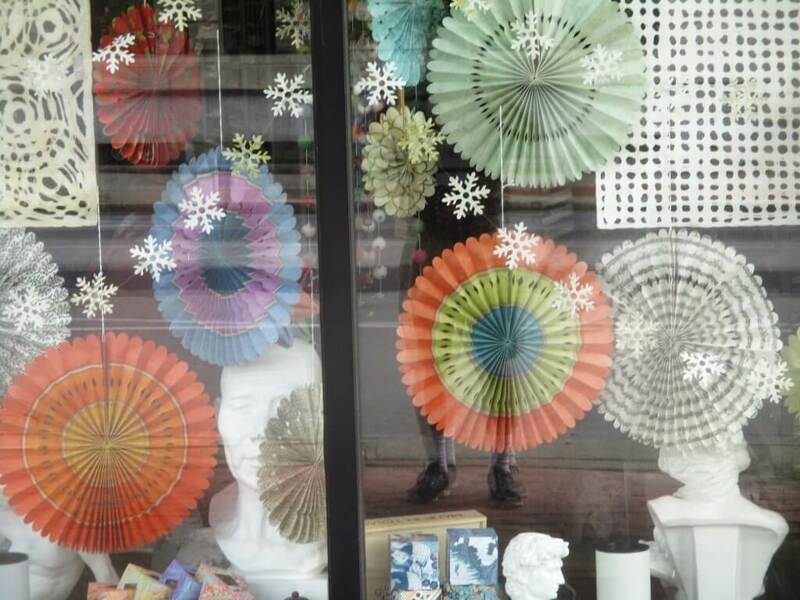 The first Corn Hill Arts festival launched organically to little fanfare by a longtime store manager, who sought nothing more than enjoyment for the local artist community. 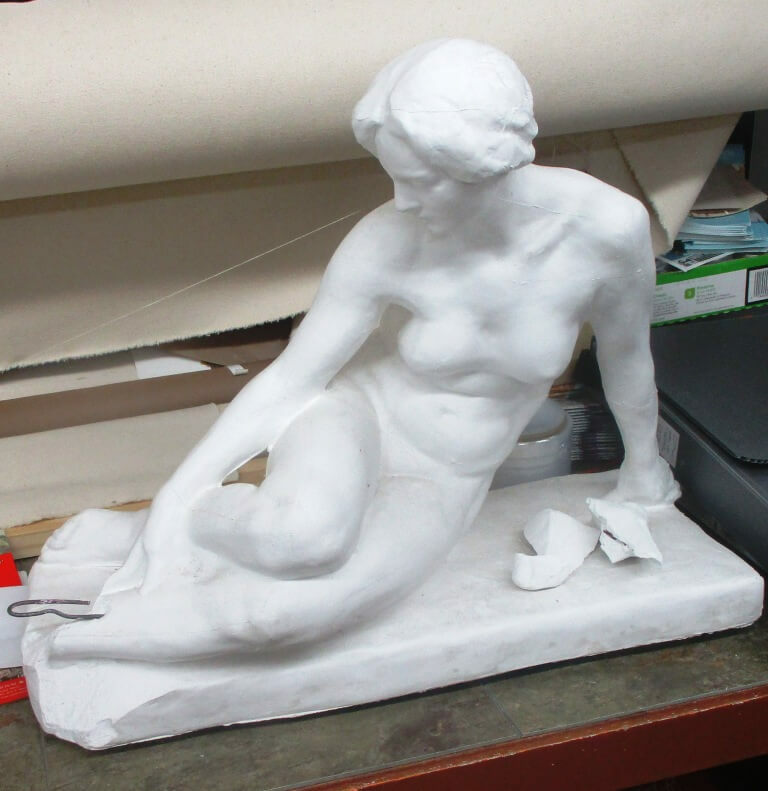 This tradition of serving local artists infuses everything. Now, people drive in from all over New York State and down from Canada on weekends to shop the globally sourced and locally produced art supplies of the highest quality. In pastels alone the store stocks 15 – 16 different brands! This little factoid shocks and energizes, as I wonder aloud how the store can compete with the likes of Amazon and Target in 2018? How can a pint-sized store, anchoring the end of a last-century dying Main Street, be profiting and teeming with life in the 21st century? Mike’s passion undoubtedly holds the key. 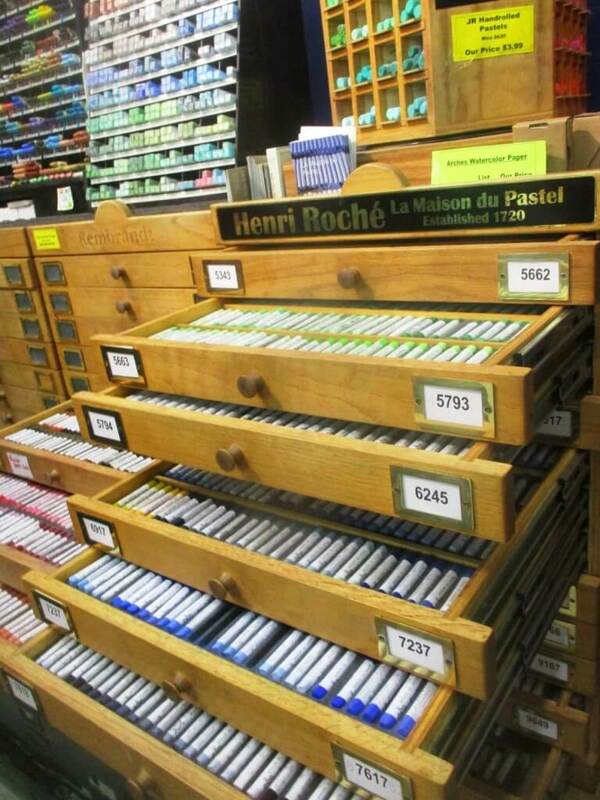 Twelve or 13 years ago a customer who had come down from Montreal stopped in to inquire: “do you carry Henri Roche pastels?” Evidently these are the paints handmade in Paris for Degas who had requested special chalks to paint his famous ballet dancers. Mike reached across the Atlantic in search of the famous (and expensive!) Roche pastels. He wrote letters, asking if the famous company would consider shipping some to his store. Nothing. He wrote again. Still no response. Three years in a row his request went ignored. Then in an odd twist of fate, Isabel Roche, the 20-something granddaughter of the late Henri, happened to pay a visit to her three elderly aunts all in their 90s, who were barely managing to hang on to the famous namesake shop in Paris. Overhearing a customer request, “I need some blues,” and watching her aunts liquidate the very last three blue sticks on the shelf — Isabel Roche, a chemist at the time, decided that she couldn’t let that happen, and purchased the shop from her aunts on the spot, ensuring perpetuity for serious pastelists the world over. Once Mike was able to get ahold of the Roche pastels, he wondered if anyone would buy them. Each sells for between $15 – 22, per stick, and “nobody else is crazy enough to carry them!” he exclaims thinking back on that gamble that has paid off in spades. Now Mike carries over 1300 colors of the Roche sticks, and incredulously, the store places a new order every three weeks! Instantly I think of a beautiful wildflower planting itself in the heart of a desert, and blooming, despite the harsh conditions. And sales are growing not in spite of Amazon, but because of on-line sales. Walk-in business is growing, too. Because the store has gone out of its way to supply hard-to-find, specialty, and small batches of paints, tools, and supplies through the years, loyal customers are paying it forward helping the store thrive. Whether it’s Awagami Editioning Papers from Japan, crafted with the artistry and knowledge of 300 years of washi papermaking, using traditional Japanese fibers for ink to printmaking, to drawing, or Williamsburg Handmade Oil paints, manufactured just down state in Brooklyn, Rochester Art Supply embodies a “locavore” spirit, serving up to its local community whatever its appetite may conceive. If a supplier can’t stay in business despite creating a great product due to economies of scale, Mike and John have been known to buy and sell it. That’s right. Many of their products are manufactured right on-premises. 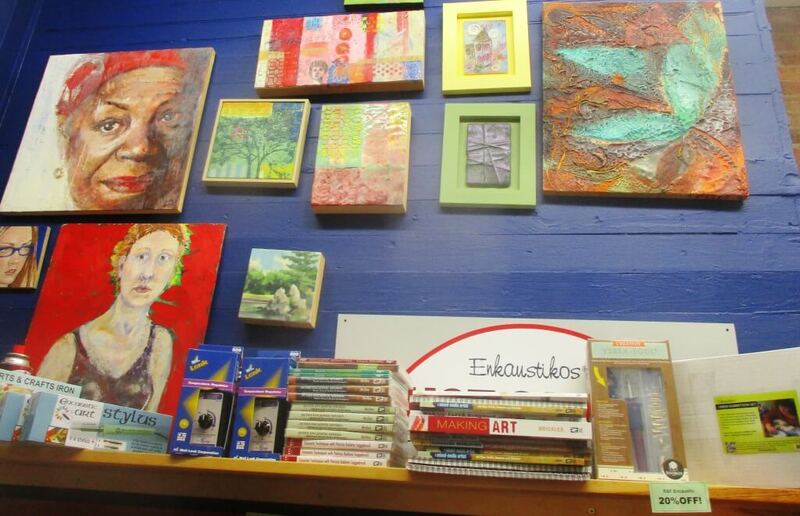 Take Enkaustikos encaustic wax paint, an ancient Egyptian technique, meaning, “to burn in,” or Walnut Drawing Ink, a product dating back to the time of Rembrandt, who used real walnuts to prevent ink from fading over time. Problem is, as ink fades away, highly acidic walnuts turn paper into holes. Mike tells the story of Tom Norton, an artist in Cambridge, Massachusetts, who went in search of the walnut drawing ink, couldn’t find it on the open market, so began replicating the ink himself in his basement. Now Mike and John manufacturer Walnut Drawing Ink on the third floor of the building, and export it to China and England. It’s these kind of success stories that makes Mike’s face light up. When talking about the art supplies he carries, the exotic and unique hand-made papers he stocks, or the fledgling encaustic wax paint company he bought from the inventor, Mike radiates with delight the way only a person who truly enjoys what he is doing can show. Traffic Control Box Art in Brighton – Evolution of a Community project.